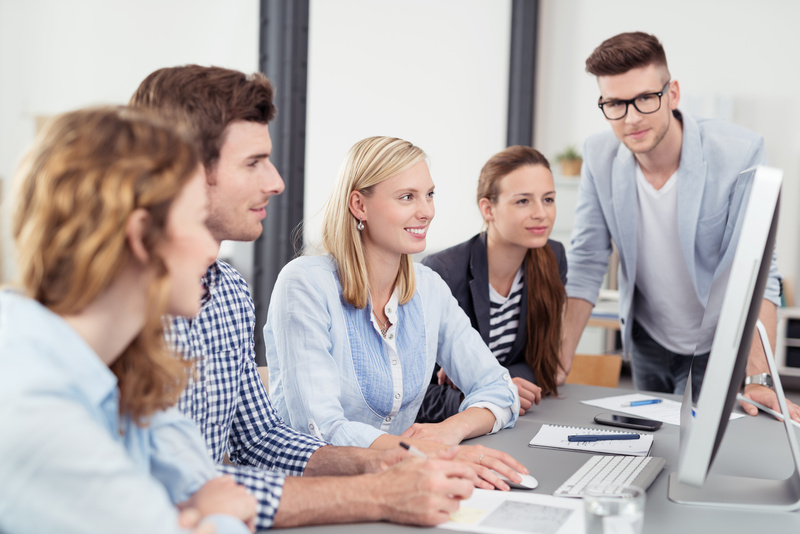 After the recruiting and onboarding processes comes employee training. The new addition to your team is now ready to begin learning the ins and outs of your business along with how to carry out specific job duties and responsibilities. The key to ensure your new hire is reaching their full potential starts with training. Adopting engaging, innovative, and effective training techniques will keep your employee stimulated and motivated throughout your training processes. These efforts will have a major impact on your new hires mentality and work ethic. The first thing you need to do is construct a new hire training plan. This plan should embody what is most important to your company and effectively communicate those components to your employee. For instance, encouraging staff interaction to make your new hire more comfortable and conveying your company’s mission, standards, vision, values and culture. Having your employee feel welcomed and comfortable is essential to having a smooth transition for both your company and employee. Emphasize your Company’s Core Values and Expectations. By sharing your company’s purpose, you can ensure that your new hire is aware and able to represent your company in a fashion that goes hand in hand with your current goals. Make Yourself and all Training Material Easily Accessible. Make sure you are checking in with your new hire to ensure that they have all the necessary tools and information they need to develop efficiently. Keep your Training Material Current. Outdated training material is irrelevant training material. Don’t have your employees waste time on training information that is outdated. Customize your Training Processes. Invest in interactive and engaging training programs that do more than just unload excessive amount of information on its participants. Customize your training programs to represent your company. By putting effort into your Employee Training Programs, you will see boosts in productivity that directly derive from employees finding satisfaction within their job title. With Origin, you will be able to implement specific Learning Management Systems that promote the latest and most successful learning and development techniques. Origin keeps your new hires engaged by having them learn on an interactive and customized platform. Additionally, training includes quizzes throughout the program to ensure retention. To get the most out of your employees you must first, put effort and effective training into them. With Origin, every hire will embody the skills and characteristics that your company values and depends on to achieve success.